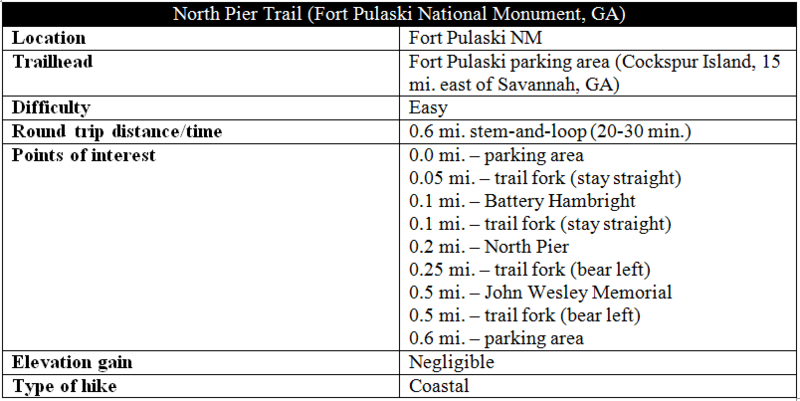 After visiting the fort, return to the parking area and look for a large sign marking the start of the North Pier Trail, at the northwest end of the lot. 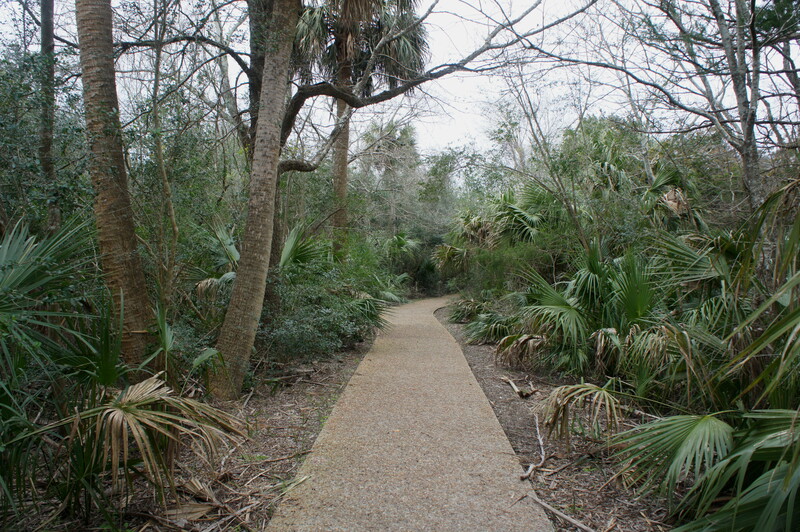 Here, just beyond the trail panel, a wide and paved path plunges into the coastal forest, revealing wily branches, dense thicket, and flashes of palms. It’s flat and straight for the first 100 yards, after which the trail forks. 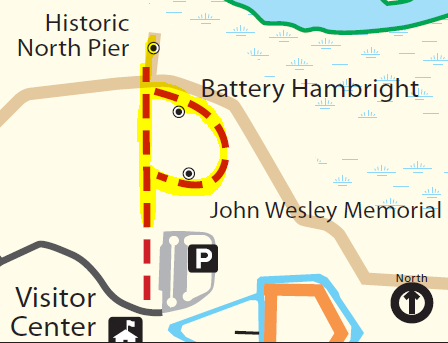 Stay left to head toward the North Pier viewpoint. 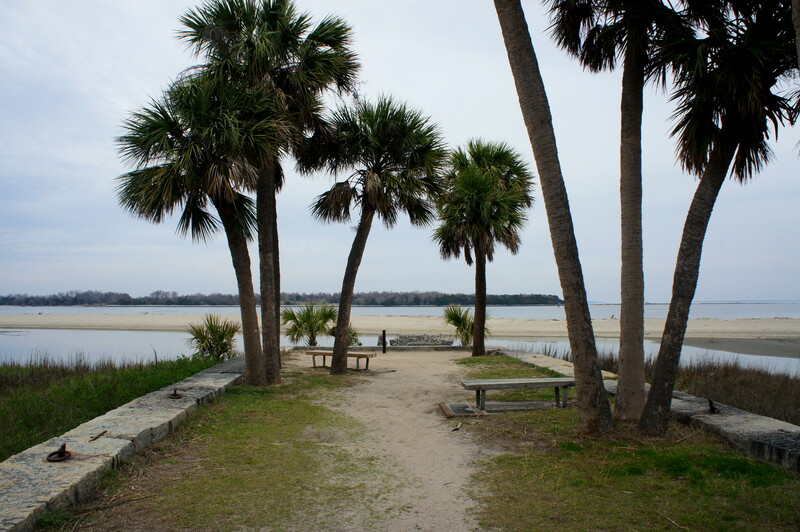 As the trail snakes around a minor curve, it briefly emerges from the vegetation at Battery Hambright, a concrete structure constructed in 1901 (well after the original Fort Pulaski). 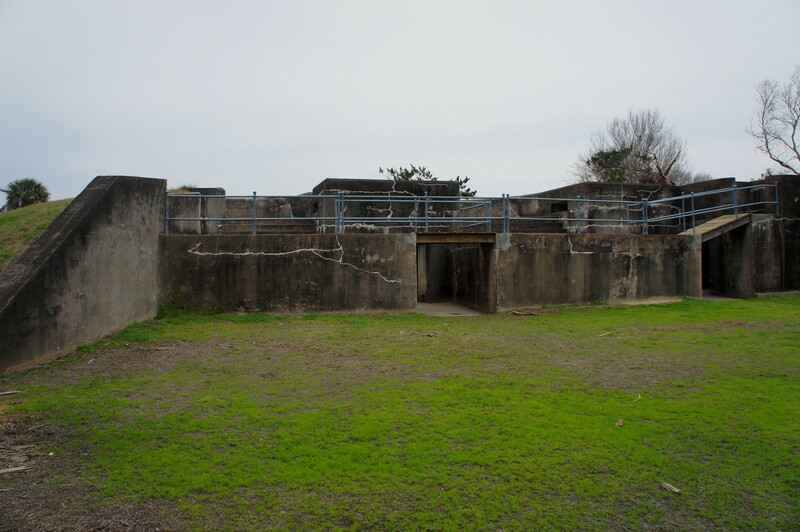 The battery was part of a series of fort improvements completed after the Spanish-American War, though artillery was never installed at the site. Skirting the battery to the left, the path continues north and splits again at around 0.13 mile. Head straight, with the pier now in sight. 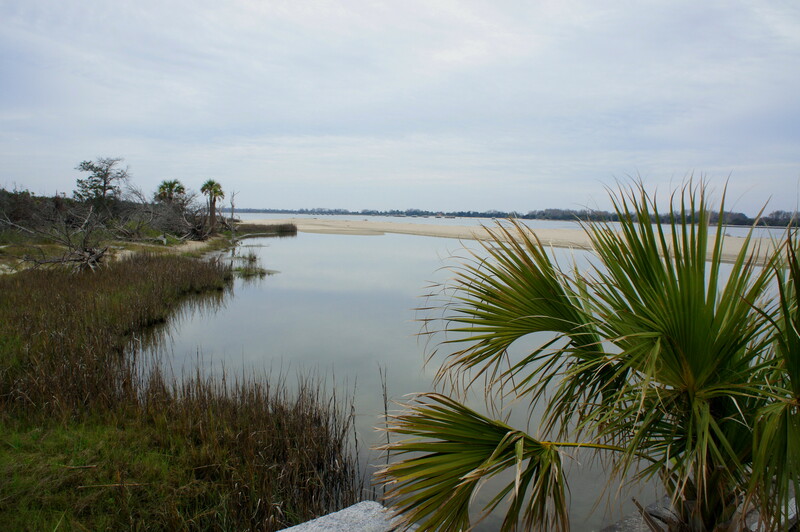 Scampering down to the sandy viewpoint, look off to the right: this is the mouth of the 300-mile Savannah River, a key avenue for blockade runners during the Civil War until the Union capture of Fort Pulaski in April 1862. 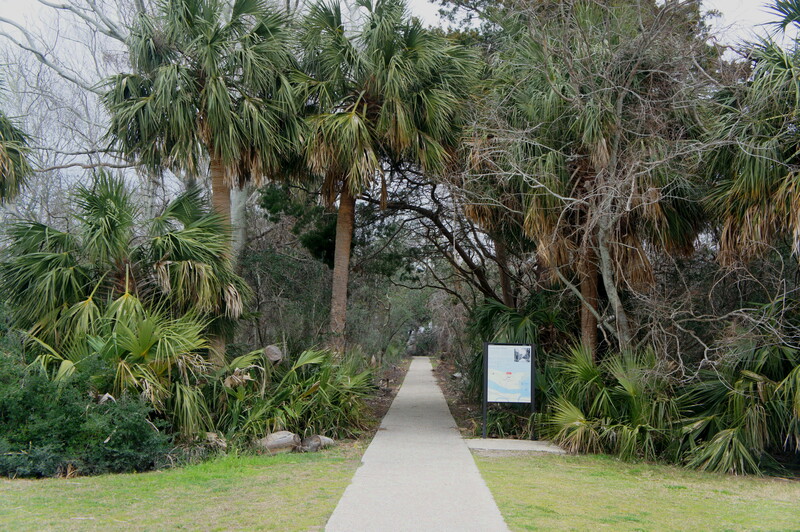 Once finished at the pier, double back to the second trail junction and bear left on a paved side route, which arcs around the grassy backside of Battery Hambright. 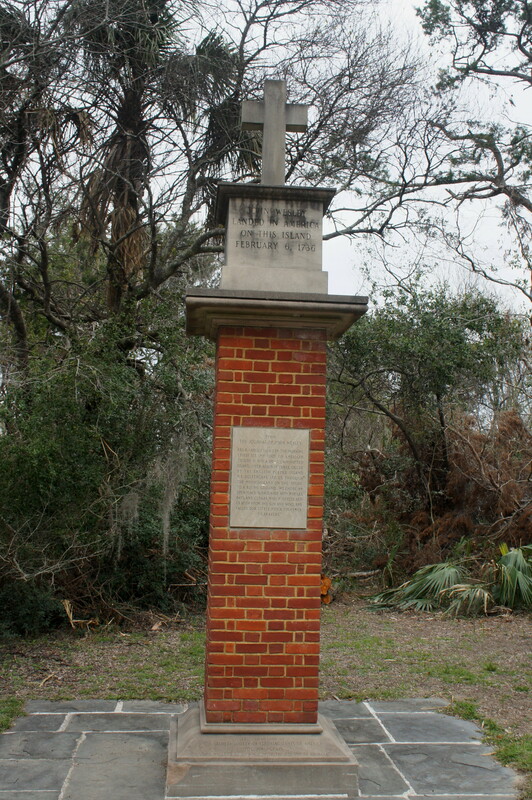 This trail, which quickly reenters the thicket, leads to the John Wesley Memorial, a tribute to the founder of the Methodist Church who landed on Cockspur Island from Britain in 1736. 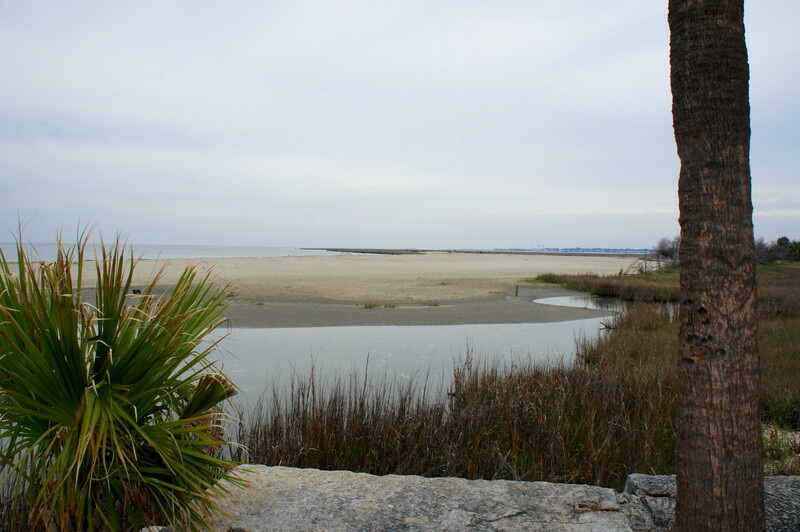 This entry was posted in Civil War, Easy Hikes, Fort Pulaski National Monument, Georgia and tagged Civil War, Cockspur Island, Fort Pulaski, Fort Pulaski National Monument, historic, loop hike, North Pier Trail, Savannah River, wheelchair-accessible. Bookmark the permalink.